First off I want to thank Ian Fraser again for hosting us on Saturday. We had a great turnout and a ton of great beers on hand. I also want to thank Carl for hosting the commercial beer tasting for us. March 2014 Meeting – The March club meeting will be on 3/20 @ Culver City Homebrew Supply. Details to be posted within the next week. March 2014 First Friday – March’s First Friday (3/7/2014) is going to be @ Irish Times @ 7pm. Thank you to Ryan and the City Tavern crew for hooking us up for the night! 2014 National Homebrewer’s Competition – The rules have changed this year so make sure you read up about how to get your beer entered into the comp. Here is a good link to review for important dates (CLICK). Carl will get more information out in an upcoming competition post. 2014 Southern California Homebrewer’s Fest – There was a new law posted last October that has put the festival in jeopardy. The AHA and CHA are working to fix this interpretation so that the fest will be allowed to secure a permit for the fest. Stay tuned to this site for future updates which will go into greater detail and provide you with a template letter to send to your local representatives to try to fix this problem. Culver City Homebrew Supply – The store is back open and is stocked with the supplies you need to get your next batch fermenting! You can park in any of the spots in front of the store – “LA Pizza” does not exist. You can also park on “Little Culver” just next to the Avis. It is a frontage type road that has ample parking and is free. 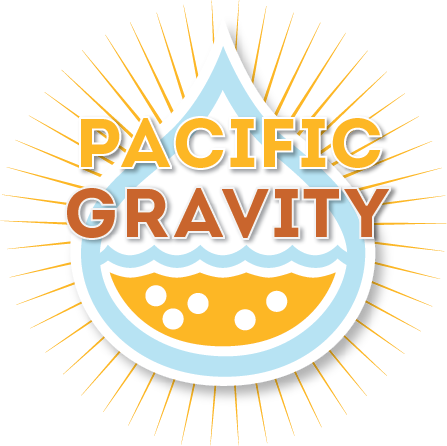 Your membership in Pacific Gravity gives you a 5% discount at the store so make sure your membership is paid up and get that discount. Club Membership dues are coming up in March. Lastly our first monster brew of the year is now officially scheduled for 3/08/2014 @ Smog City. We will post more details as we get closer to the event. All of the events with dates listed above have been added to the websites calendar. Thanks again to everyone who made the trek down to Smog City on Thursday and I look forward to seeing you all at future events. CLUB MEETING | SATURDAY FEBRUARY 22nd 2014 Join Strand Brewers at Stone’s AHA Rally in March!